Fashion for Life 2014 almost opens and AvaGirl is participating in it! This year’s theme is Wanderlust. AvaGirl has made 2 NEW EXCLUSIVES and 50% of these sales goes to this fund, so make sure you buy these to support the American Cancer Society’s Relay For Life! A strapless minidress with pastel worldmap print. On the front is a pocket filled with a trainticket, passport and compass. The dress is mesh and comes in 5 sizes. The Ticket, Passport and Compass is a seperate attachment so you can wear the dress with or without it. The vest and clogs with knee socks you can buy seperately (these are not exclusives). 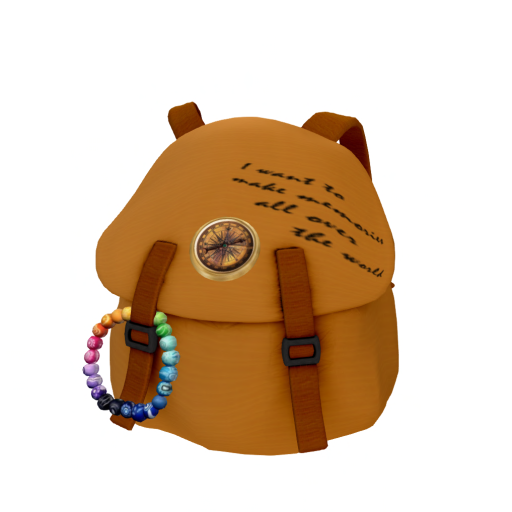 Ofcourse with traveling you need a good Backpack! I have set one out as Dollarbie (2L). Only to get at Fashion for Life 2014! A mesh mini-dress with flowers on the strap combined with a lace flexi skirt. The matching ballerina shoes with white socks with lace edging can be bought seperately. Don’t forget that you as groupmember can buy fatpacks for the price of one!